On Garnet Skein, Thanos Chrysakis is entering the improvisational stream of meaning. Music can never be born in a vacuum tube. It is always the result of a complex field of influences and inspirations, of individual inventiveness and creative interaction, of technique, technology and personal relationships. Perhaps this is why the rare moments, when all of these factors combine to create something truly remarkable, are so particularly meaningful to those who have dedicated their life to sound. 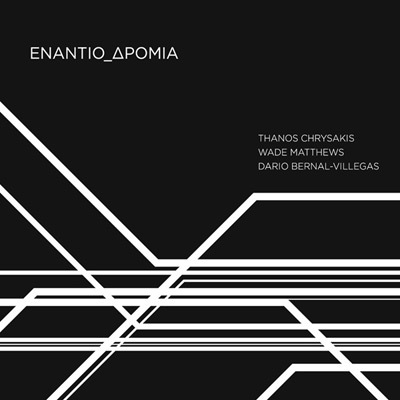 For Thanos Chrysakis, whose work intriguingly oscillates between improvisation and composition, between performance and installation, one of these special moments occurred on a recent trip to Madrid. Teaming up with long-time musical soulmates Wade Matthews (a multi-instrumentalist contributing digital synthesis & field recordings on this occasion) and guitarist Javier Pedreira, he embarked on a session brimming with explorative spirit and 'joi de jouer'. The resulting full-length, aptly named Garnet Skein, is a tour de force of magical confluences and mesmerising contrasts – between rhythmical agitation and meditative stillness, between garish rawness and fragile delicacy, between pristine abstractions and the occasional recognisable radio signal. It is also an impressive testimony to the power sound can develop in the hands of artists capable of shaping it as naturally as sculptors working with clay. About time to talk to Chrysakis about an album which he rightly considers 'magical'. You've said that your most recent release Garnet Skein is particularly close to your heart. In which way? That’s right. I consider it as one of the best releases by Aural Terrains so far, as it is a very colourful and solid, with rich vocabulary and at times really evocative sound-world with also great playing from all the three of us. I find that it communicates something beyond the music, it contains a special atmosphere, it’s a garnet! What made the sessions to the album so fantastic? It’s a privilege to be able to work in a truly independent way and play with like-minded musicians who also see a strength and liberating force in music outside the mainstream and commercial music-world. 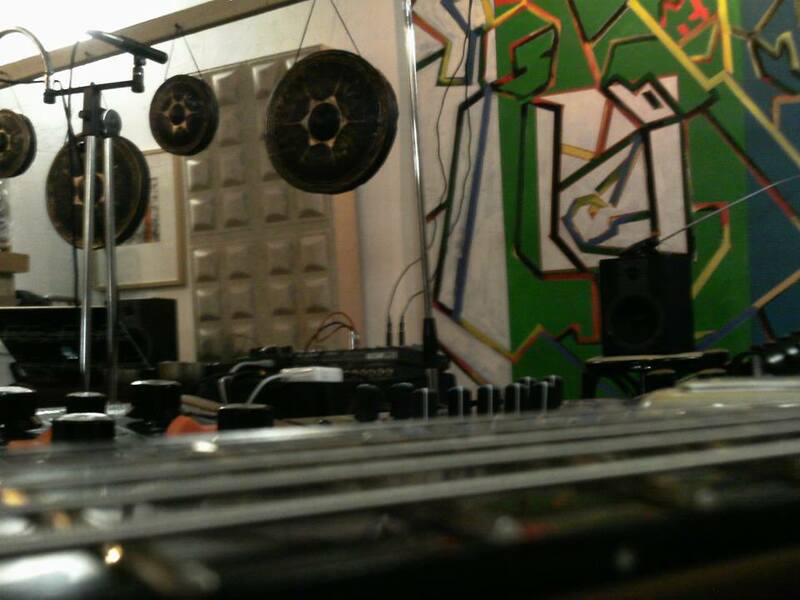 We recorded the album at Wade’s personal studio in Madrid in August 2013. I remember that we did the sessions in the mornings and we played/recorded until the music was still sounding fresh, then we were going for something to eat at Mr Salva’s place with his very tasty Spanish food, while the conversations amongst us were already very intriguing alongside the Mediterranean sovereign sun. Returning back to the studio was spent mostly with listening in depth to the recorded music and also doing some editing. At the same time, the music itself was thought-provoking so the listening was followed by more conversations regarding aspects of playing, responding, form, vocabulary. At some point I recall that we were discussing about painting and artists like Mark Rothko, Kurt Schwitters, El Greco, Rembrandt, and what art is all about today. I also remember having a great afternoon talking with Wade about his book on Improvisation with the title IMPROVISANDO: La libre creación musical. Even if it is written in Spanish, I feel like I’ve read it after that afternoon. It must be worth reading by all those interested seriously in improvisation. These recording sessions were special to me as I felt they contained a true spirit of dialogue and surprise amongst us, and a certain camaraderie. I felt like we were going beyond the usual react-react approach in improvisation to the essence of dialogue which is “a stream of meaning flowing among and through us and between us ” as the physicist David Bohm has put in his text ‘On Dialogue’. And let me not forget the Genmaicha tea that we were having in our breaks, between the sessions. While some improvisers enjoy adding one new collaboration after another to their portfolio, you conversely seem to enjoy building long-term relationships with select artists – such as, for example, Wade Matthews. Does that mean that you can not disconnect the players from the music and that they are always intricately connected in your oeuvre? It is the musicians that give life to musical instruments and therefore the important thing is who is playing! But music is made by all of the personal qualities of someone, not merely by a certain dexterity and musicianship. So, I do have an inclination for long-term relationships as music can become more personal, more intimate, while at the same time being daring. Another aspect of me favouring long-term collaborations is that once there is an experiential opening in the encounters that occur by circumstances, music comes closer to ones life. And I find collaborations coming from this attitude very enriching and fertile on many levels. In addition, this is not music that asks from musicians to play or execute a pre-defined role, so it’s vital that a bond and a genuine relationship between the musicians might occur. After all, music is such a fragile entity that needs our whole selves, for it to come into full fruition. With Wade Matthews —whom you mentioned— I have worked closely in a couple of projects like ΕΝΑΝΤΙΟ ΔΡΟΜΙΑ, Parállaxis, (both with Dario Bernal-Villegas) and Numen (a duo project), as well touring together in Spain in 2010 and of course recently, Garnet Skein with Javier Pedreira. We are really good friends with Wade and I believe this can be heard in the music that we make in our enjoyment and pleasure of doing so. I have also learned a great deal working with Wade Matthews and it’s always a rewarding and fruitful experience working with musicians like him. I would like to add that I’m also interested in establishing the same kind of long-term relationships and collaborations in notated music, and I’ve got the privilege to be engaged in a couple of compositions with some extraordinary musicians out there —to name just a few— like Chris Cundy, Jason Alder, Wilfrido Terrazas, Philippe Brunet, the Stockholm Saxophone Quartet, in which the spirit of collaboration is really alive, outside the usual confines and the machinery of the mainstream concert-circuit. Garnet Skein was recorded live, but it seems to have been a session without audience. How did this influence the music? There was not enough space to invite audience which I don’t find a bad idea even if I prefer playing without an audience in a studio. Working in a studio brings a special concentration so you can play undistracted “moment, the moment in and out of time”, as T. S. Eliot would have said. I find that the music gains in intensity, depth and detail. Working in a somewhat extended period of time in a studio there is a continuum between the sessions and what you do in between them. It has a totality which I am fond of a lot. It’s different with a live performance, when you’re in front of or surrounded by an audience. For me a live performance is more like an event. It has a uniqueness that relates to the performance place and the audience. There is a totality in that as well, but as an event. That’s the reason I’ve got an inclination not to perform very often. It needs to be special in some way. Garnet Skein, like almost your entire catalogue, will be published on your own imprint Aural Terrains. What has the importance of the label been for you? The label started through a need to release music by me and others within an autonomous and independent spirit. Its emphasis is on the transfigural capacity of sound and it focuses on electroacoustics, composed and improvised music. I see the label as part of an artistic vision that motivates and generates collaborations, performances, and releases, so in that sense it’s not just a label it is actually a milieu. What is the importance of networks, communities and friendship for you? I find the words networks and communities rather superficial for a couple of reasons. True friendships and truly artistic bonds are difficult to be made therefore worth trying and being open for them. It was Aristotle who wrote that “friendliness is considered to be justice in the fullest sense. It is not only a necessary thing but a splendid one”.